NEW YORK (AP) — The company behind Snapchat is losing its second financial chief in less than a year as the social media service confronts a declining user base and stiff competition from bigger rivals. 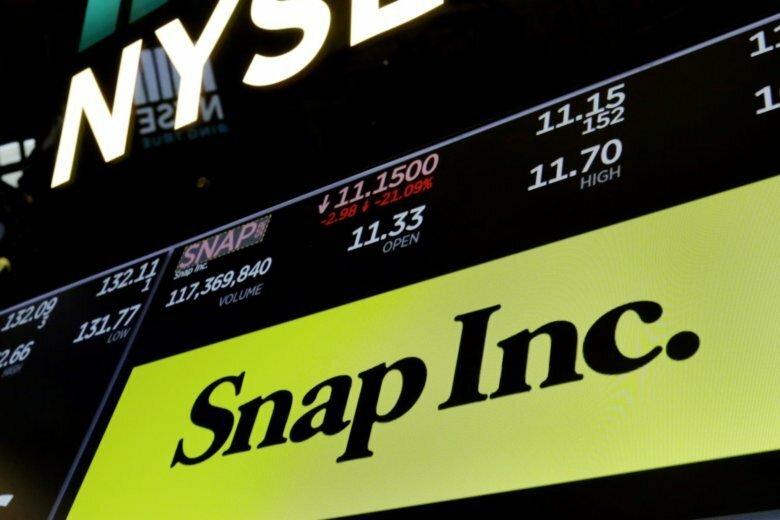 A number of top executives have left Snap in recent months. Stone had been broadly seen as someone who might bring more stability to Snap’s executive ranks. As such, his departure sent shares tumbling 12 percent Wednesday. The executive exodus “underscores a spate of challenges the company has faced as it squares off against Instagram and addresses ongoing challenges related to its app redesign,” Cowen analyst John Blackledge said. Snap, known for its disappearing photo and video messaging app, has been battling Facebook’s Instagram for popularity. Instagram’s Stories feature — which Facebook copied from a Snap feature with the same name — has 400 million daily users. Overall, Snap has 188 million daily active users — not just those on Stories. Snap announced in late 2017 that it would redesign its app to attract more users, but existing users roundly despised the changes. Among other things, Snap tried to separate what friends share and what media organizations publish. After complaints, CEO Evan Spiegel said in May that the company would reverse some of the changes. So far, though, this hasn’t stemmed the user decline. Wedbush analyst Michael Pachter said he is “troubled” by Stone’s departure. If Stone is leaving “because of an inability to mesh with other management,” Pachter said, that could be a bad sign.